Hey everyone! Travis back with some great Tampa Bay entertainment for Mother&apos;s Day. So, if you&apos;re looking for that special place to take mom on her special day, make sure you keep The View at CK&apos;s on that list. We just found out that they&apos;ll be open for Mother&apos;s Day Brunch (That&apos;s May 9th everyone) from 11am to 3pm. Believe me, this place has it all. If you haven&apos;t seen their updated menu, make sure to head over to their website and take a look. 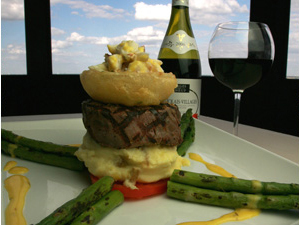 You just have to call them at 813-878-6500 to book reservations...or you can book online at www.CKsTampa.com. And view the full Mother&apos;s Day brunch menu at www.CKsTampa.cm/events.htm. The price for brunch is Adults/$39; Kids/$14, and includes complimentary champagne (if you&apos;re of age) and live entertainment with Ron Carmichael. So, get out and have some fun with mom! And keep checking back here for more Tampa Bay area events and great things to do in Tampa Bay.